I hope you’ve had a wonderful Thanksgiving weekend and maybe got a chance to start on some Christmas decorating and all that. I’ve spent the past week with my family, and it’s been truly wonderful! Monday was our first day at my parents’ and I made green eggs and ham for my little brother that morning for breakfast. I just added a couple drops of green food coloring to the scrambled eggs before cooking them and that was it! I do have a picture, but no laptop, so I will update this post later with a photo. 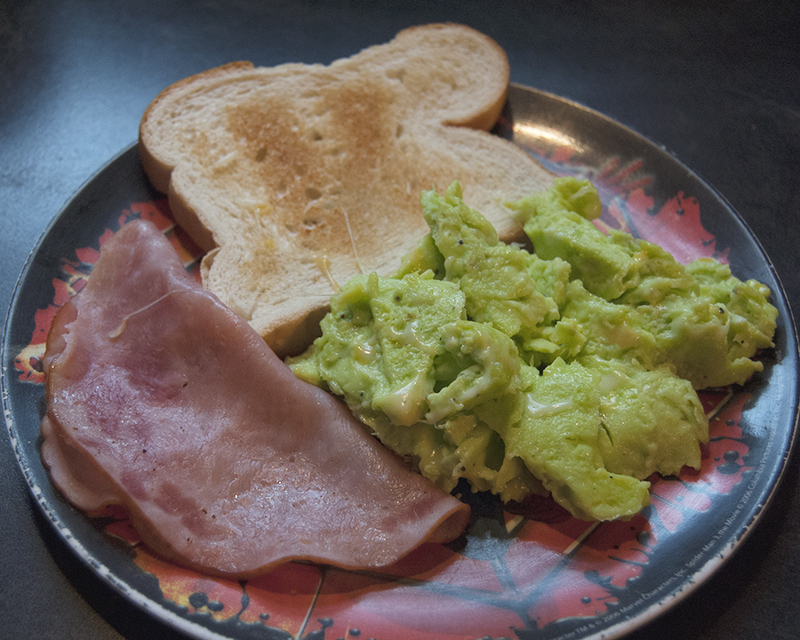 Update: Here’s the picture of green eggs and ham, on a Spider-Man plate, of course! It was wonderful having everyone together for Thanksgiving again! Now I’m looking forward to getting home and really starting on Christmas stuff. I’d love to connect with you on Facebook, here’s my page if you so desire. Have a great week everyone!